It's a question we get every single day: "How much does an MRI machine cost?" And for good reason: an MRI scanner is both a cornerstone and, often, the most costly modality in any imaging department. 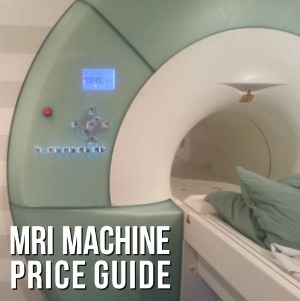 To lend some clarity on the subject, the price list below breaks down current average cost and price information for popular MRI machine models from leading manufacturers like GE, Siemens, Hitachi, Philips, and Toshiba, If you're a more visual person, you can scroll down a touch further and see the list in video format. Click here to see current MRI machine inventory and get a custom quote. Of course, the cost of the MRI equipment is only part of the equation. There are remodeling, installation, and ongoing maintenance costs to think about when planning your next purchase. If you're ready to begin the conversation about MRI costs for your specific project, we're ready to serve. Use the button below to tell us what you're looking for and we'll be in touch to tell you how we can help make it happen.